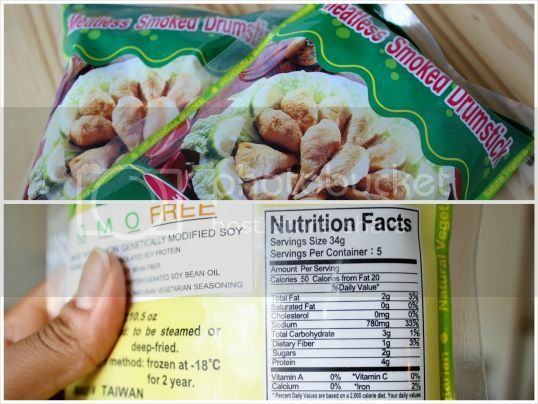 Some time ago, I stocked up on some of those faux chicken drumsticks that are often used at Chinese vegan restaurants. They're a little hard to find, but I've come across them in the refrigerated section of some Asian markets (shout out to in Oakland! ), about $5 for a pack of anywhere between 6 to 8. More recently, I discovered them (along with a whole freezer section of Asian-made faux meats) in the new grocery store in Santa Monica. I'm SO glad they opened one on the Westside, no trucking out to Rancho Cucamonga for me! I finally decided it was time to do something with them, so I scoured the Food Network website for the top rated fried chicken recipes. I came across one from the Neelys: truth be told, I think I was drawn in by the dipping sauce. I won't lie, I was afraid to make these. "Should I halve the spices?" "Should I omit the black pepper, there's already cayenne included." "Holy sh*t, that's a LOT of cayenne pepper!" But I figured, what the hell, it was rated 5 stars for a reason. There's quite a lot of prep for this recipe: seasoning the drumsticks, letting them rest, making the batter, making the sauce, and of course, the frying. I suggest coating the drumsticks with a light mist of cooking spray before seasoning, so the spices will stick better. While that's resting, you can make everything else. I definitely didn't have as much batter as I would have liked for 14 drumsticks, so I've adjusted the recipe below to overcompensate the amount. Coat the chicken in flour before dipping in batter. After the first flouring, let the drumsticks set in the fridge for at least an hour. Then proceed to batter and re-flour. Shame on the Neelys for not teaching me proper chicken frying technique! So all of that aside, these little drumsticks were dynamite. Surprisingly, they weren't too hot. They're hot enough to make you remember, as my mouth burned for about half an hour after eating them, but they're not so hot that you can't eat them. The seasoning is perfect as is, if you like spicy food. 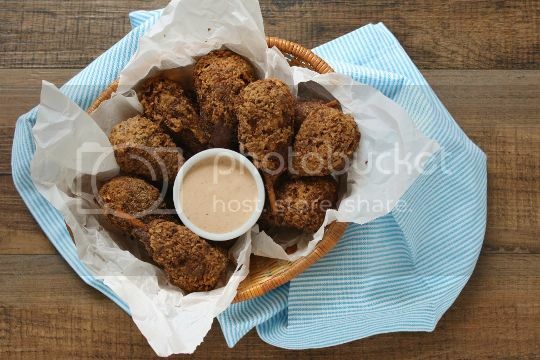 The drumsticks are crispy, with a thin crunchy coating, and super tender and flavorful on the inside. And to top it all off, the sauce is incredible. It's tangy and sweet from the chili sauce, with a tiny bit of pungent kick from the horseradish (a very underrated ingredient, IMO). I used the brand of vegan sour cream, but I stand by the or brands as well. Make the seasoning: In a small bowl, whisk seasoning salt, red pepper flakes, cayenne, poultry seasoning, lemon pepper, and black pepper. Set aside 1 tablespoon in a separate bowl. Place drumsticks in a shallow baking dish. Sprinkle with seasoning, then refrigerate, covered, 1 hour. Line a baking sheet with paper towels. Set aside. Make the batter: In a medium bowl, whisk water and flaxseed until well combined. Refrigerate for 30 minutes, until thickened. Whisk in hot sauce, red pepper flakes, cayenne, and black pepper. Put flour in a shallow dish or pie plate. In a large Dutch oven, heat at least 2 inches vegetable oil until a thermometer reaches 350 F. Roll drumsticks in flour until thinly coated. 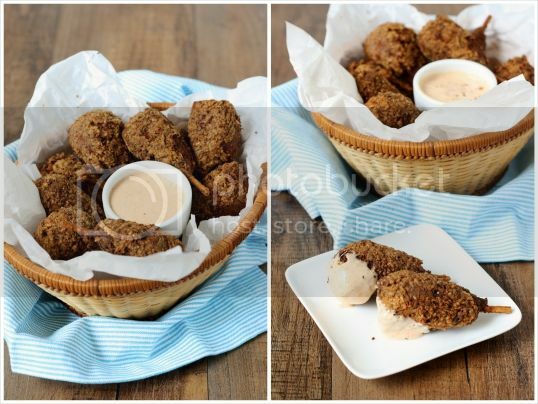 Dip drumsticks in batter, then again in flour. Place drumsticks, a few at a time, in hot oil and fry until browned, 5 to 7 minutes, turning occasionally. Transfer to baking sheet. Return oil to 350 degrees F before adding next batch. 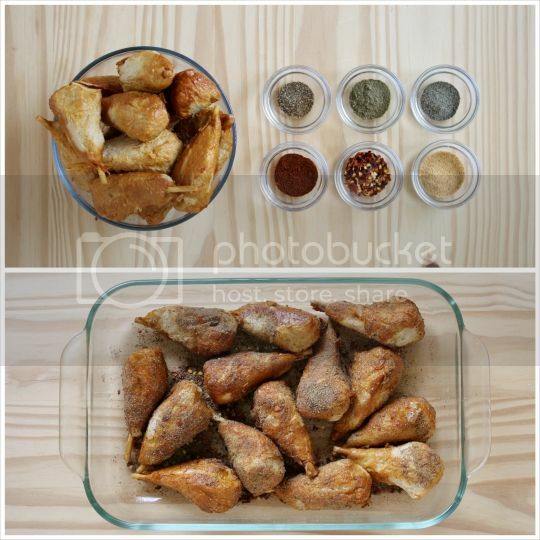 Sprinkle fried drumsticks with reserved seasoning. 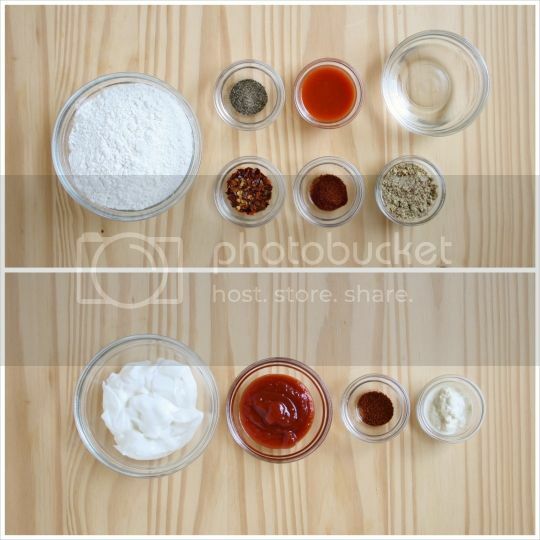 Make the sauce: In a small bowl, mix sour cream, horseradish, chili sauce, and cayenne. 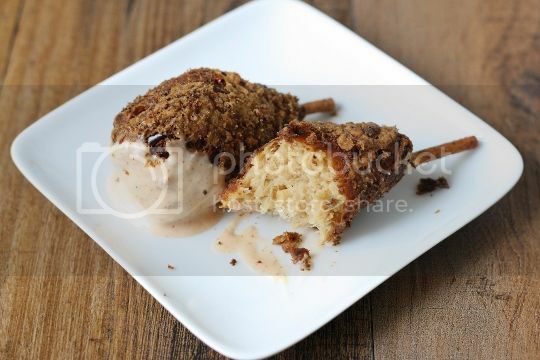 Serve with drumsticks. Nutritional data (per 2 pieces): Calories 198, Fat 13g, Saturated Fat 1g, Sodium 1686mg, Carbs 15g, Fiber 4g, Protein 7g. where do you get these on the east coast...Do they ship? Hi Yolanda...I found mine at a local Asian market. If you're on the east coast, check out an online store called May Wah Vegetarian. They have TONS of faux meats and are located somewhere in NY I think. Where do you get them in Rancho Cucamonga? ?